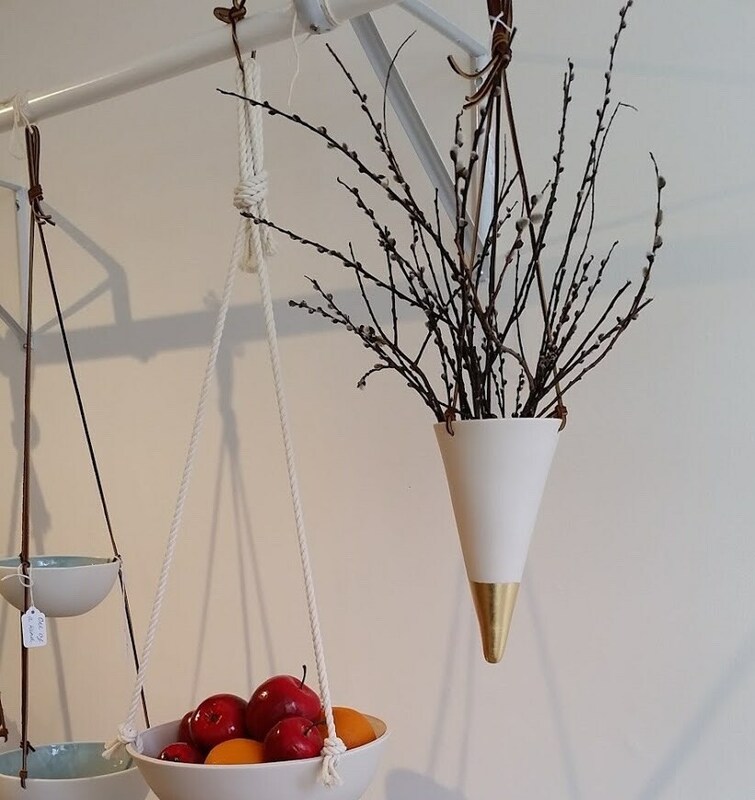 Each vase is handmade from a fine porcelain and then finished with a gold, copper or silver leaf tip. 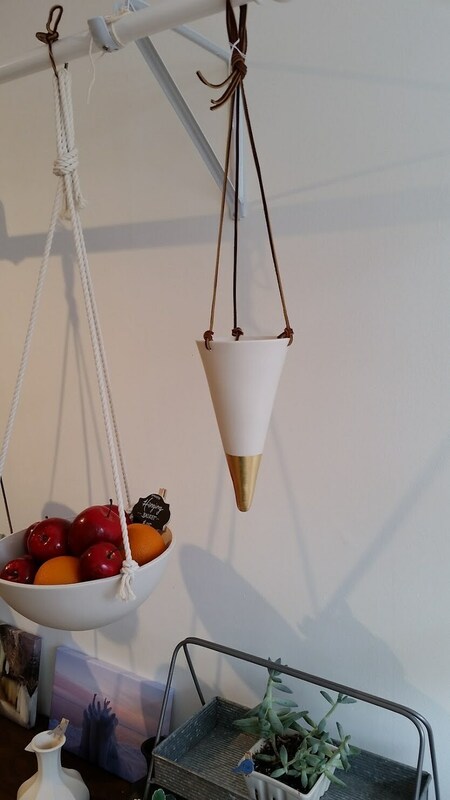 The hanging design is suspended using a high quality leather cording. 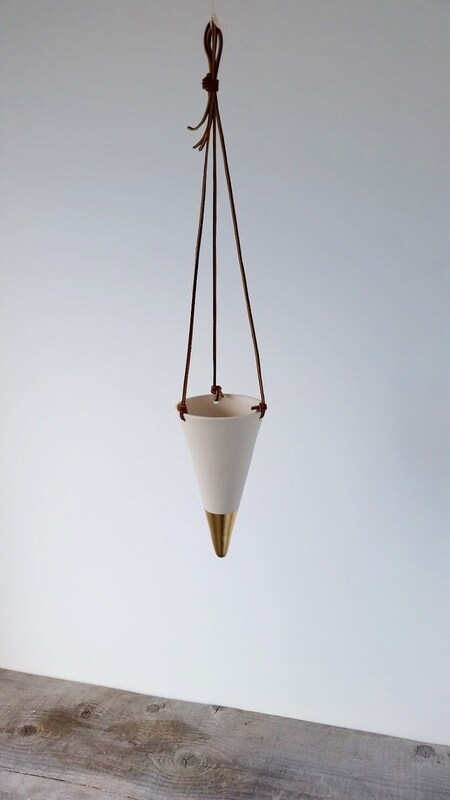 Porcelain Cone Vase: 5'' opening, 9'' deep. 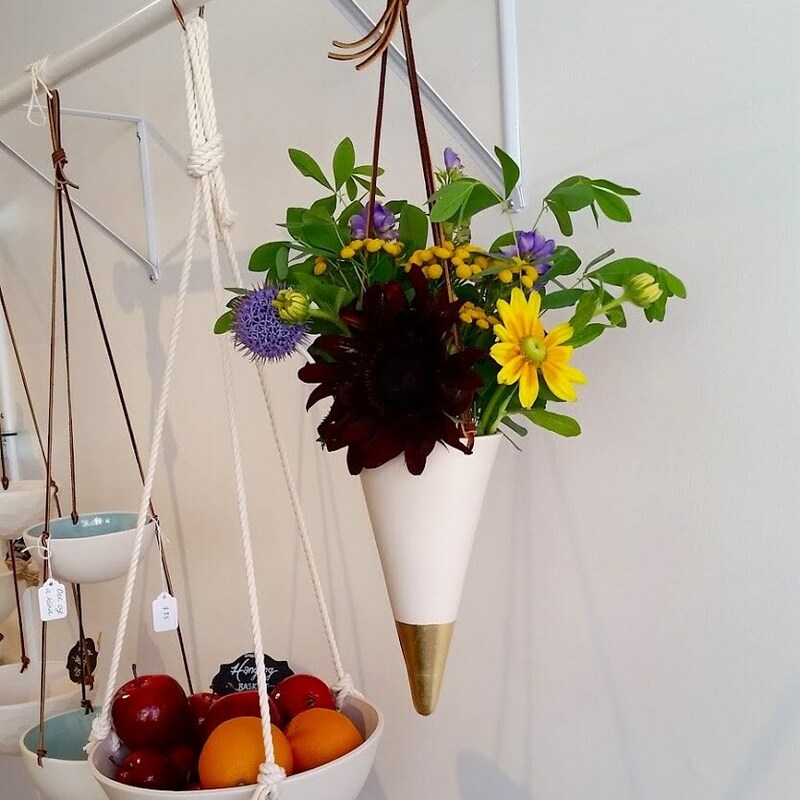 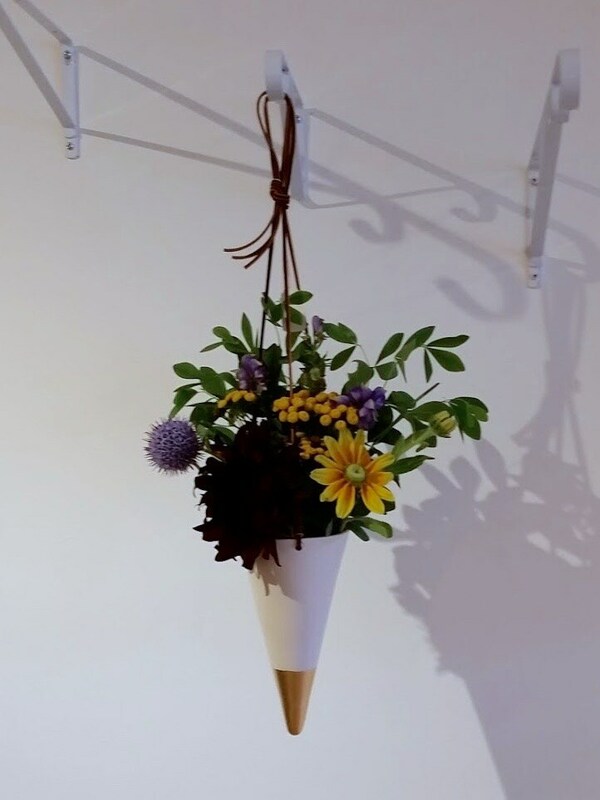 Hangs 24'' overall from top of the cord to the bottom of the vase.